Masks! Masks! Masks!!! 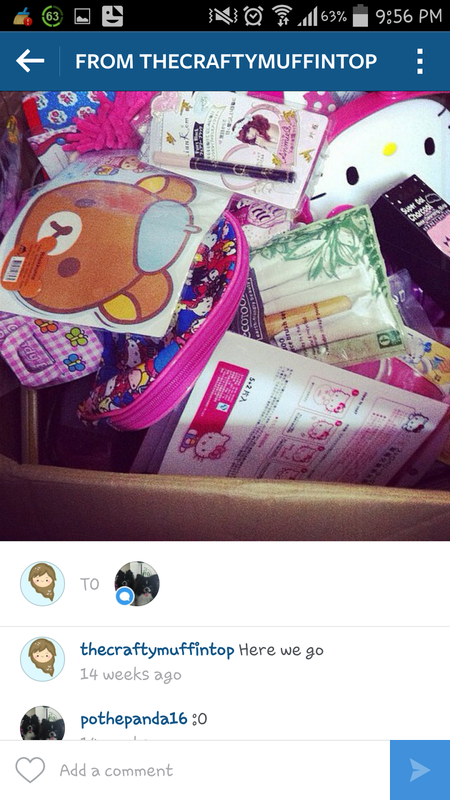 I have a boatload of masks due to the event Etude House had back in November. I purchased 80+ masks.. 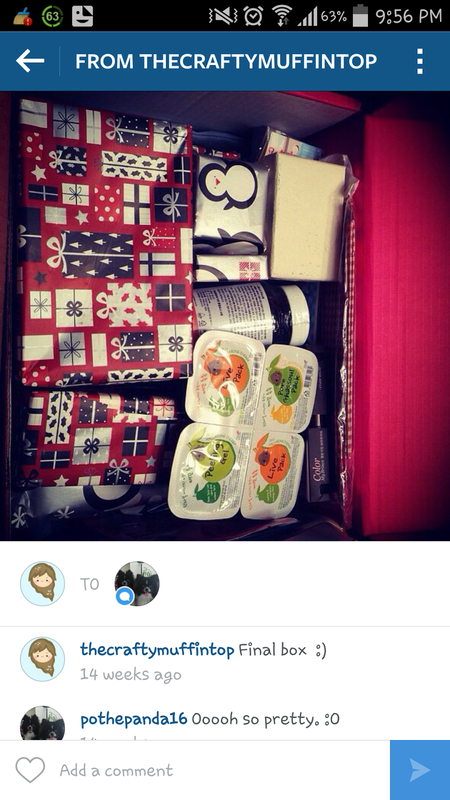 I gave away about 20+ as Christmas presents and have been incorporating them into my routine. Sorry for the lack of posts! I just been super stressed out about problems regarding my condo and then moving. 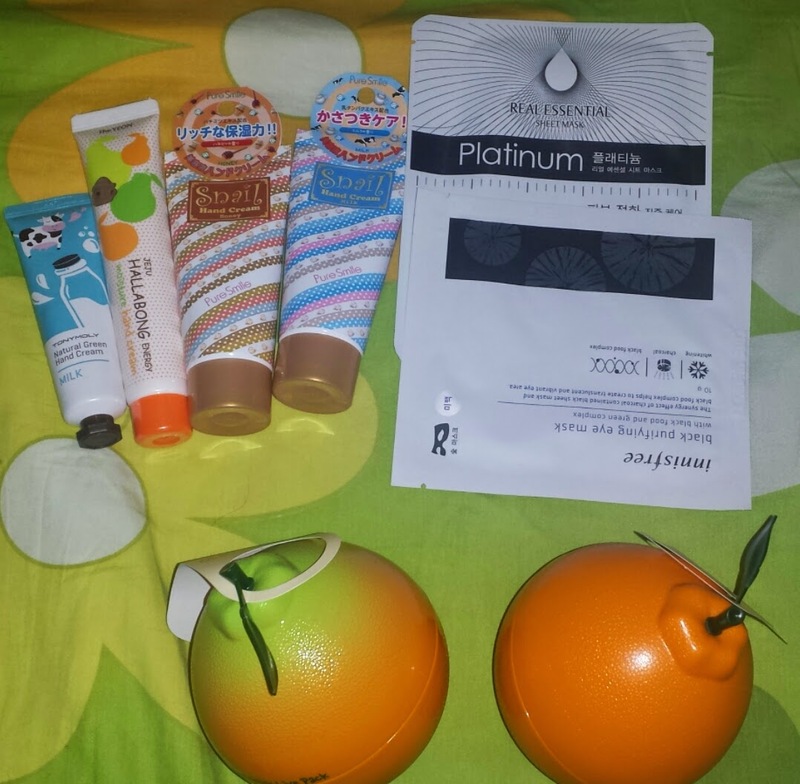 But all settled now and I can finally continue with the post I had been planning a month ago.. Oops..
Anyways, back in December, my friend brought back some goodies for me from Hong Kong since she knew I was just starting to get really into Korean skincare. 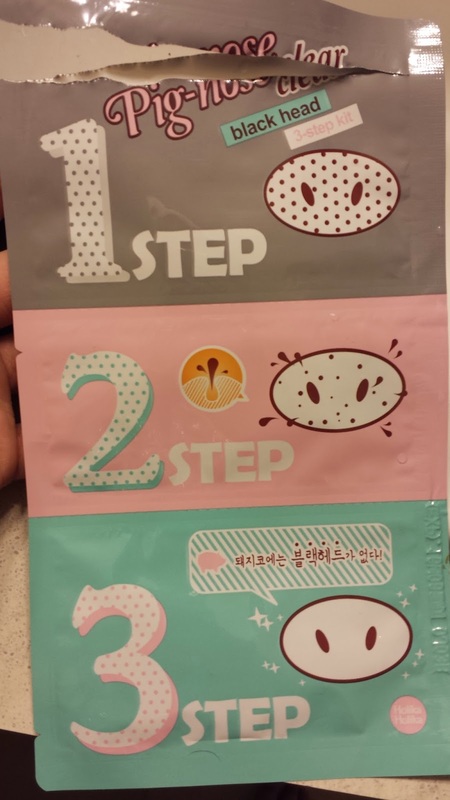 One of the items was Holika Holika Pig Nose Clear Blackhead 3-Step Kit. I was bored one night so I decided to give it a try. I do have a complaint regarding the labeling. Hong Kong is pretty good about sticking on a label in Chinese so the consumer can understand the product. Unfortunately that was not the case here. Thankfully for the Holika Holika website which gives instructions in English. Yay! Fair warning but there will be close up shots of my piggy nose so you have been warned!!! 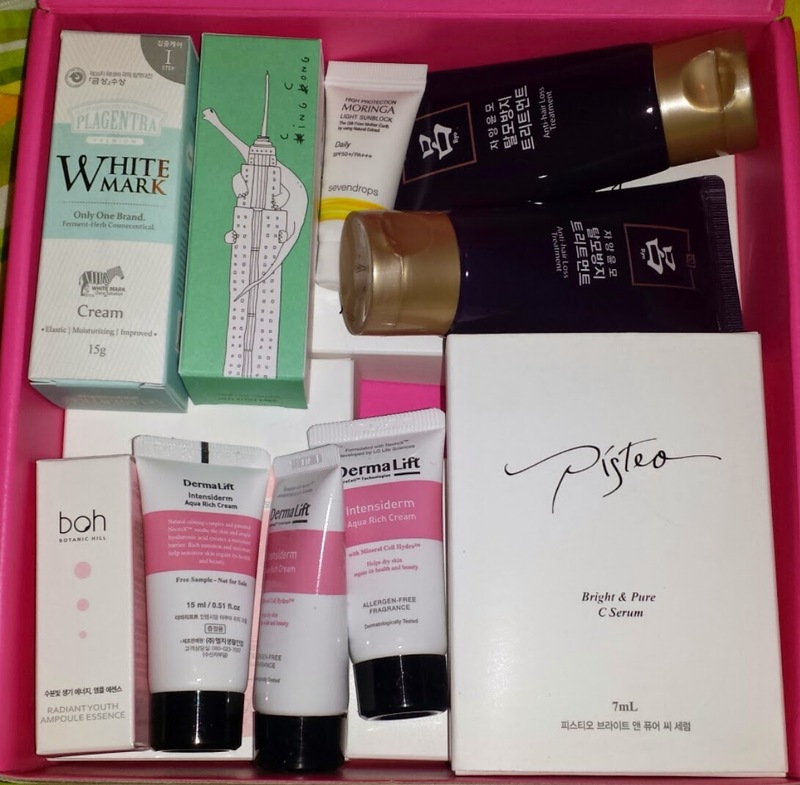 So I started this blog to review all my Memebox. Now that they have gone crazy and decided to close their international shop and focus only on China, Korea, and United States. Thanks.. We Canadians really feel the love here..
Anyways.. The reason for my rant is that I am really displeased with the way they are handling everything. They gave the international buyers less than a month's notice that they are closing shop. They gave a little more than a month to cash out outstanding Memepoints. So a lot of people has been sending in their reviews for really old boxes so they can get some Memepoints back. In return, Memebox changed their review policy so people can't abuse the system. That's fine, I understand. What I have a problem with is that I sent in two reviews on brand new boxes I just received and I STILL haven't gotten my points yet. I sent it in on February 6th, before they closed their international shop on the 10th. I was hoping they will get back to me in time so I could buy another Elizavecca set. Nope, Nada. I caved and bought it with whatever I had in my account. That's fine.. That's my decision... But fast forward to today, the 19th. I still have not seen those points in my account. The deadline to send in a withdrawal request to Paypal is tonight at 11:59PM PST. So.. I can't withdraw that amount because Memebox is dragging their feet.... And I am not alone in this, few people has complained they sent in their request weeks ago and haven't received it yet. Yes, it's only $6 which is a small amount. Yes, I know with the hundreds, if not thousands of customers out there, Memebox is looking to pay out thousands of dollars. An amount that any business is unwilling to pay. But if you do not wish to give out review points as money, then as a business, you should have suspended the review system upon announcing the closing of the international shop. Do not leave customers, *excuse me* former customers, in the dark, waiting for their review points hoping they will get it in time. Honour the terms and conditions you as a company has put up! If you didn't want to pay it out, you should have said something, not drag your feet until time has run out. That's just a shady practice for a business. Yes, they made more than a few shady business moves, but this is the last straw. So now, even if Memebox is offering to the international community again, I will not be giving them a single penny. Nor would I recommend them to anyone. So kids, if you are ever thinking about starting a business... Look at Memebox as an example of how NOT to run your successful business. Every move they made has turned their customers against them and flee to other companies. If the business folds, that would be their own doing. Okay, so Memebox broke up with the rest of the world. So why am I still posting my boxes? Well.. I ordered my last two boxes using my review points and would like to post the items I got. So.. 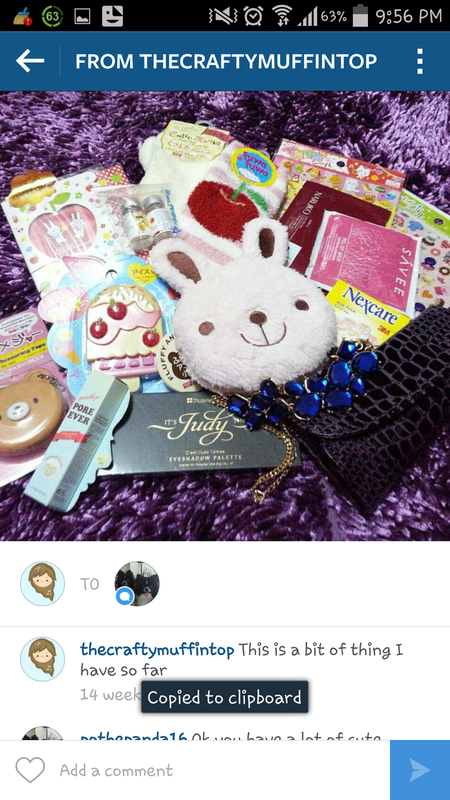 I am not helping promote Memebox but rather posting about the items I have received. This is the Elizavecca Skincare Set Season 2, it was on sale for $48 with free shipping. It's now reduced by $3 to $45 with free shipping. I was slightly sad on missing out on set #1 where they had the snail cream. I was contemplating whether to get it or not as it's only 4 items and it's quite expensive at $48. 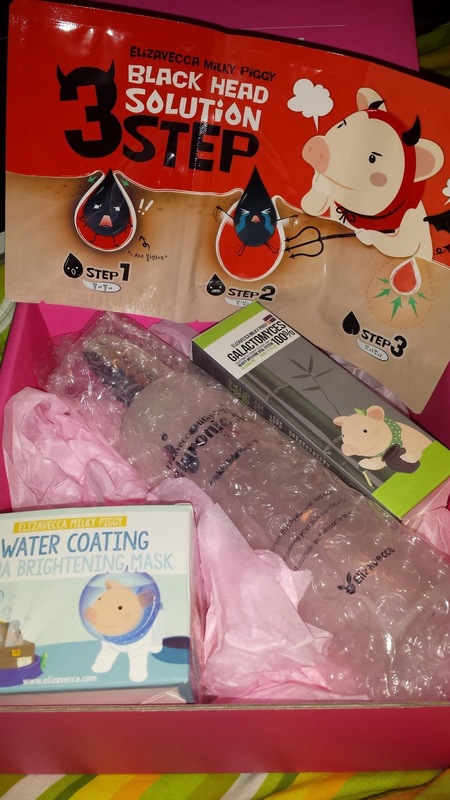 Plus, I already have the Water Coating Aqua Brightening Mask. But after looking into how much the Hyaluronic Acid and Galacytomyces Essence retails for, and a 10% off value set coupon from Memebox. I decided to bite the bullet and use up all of my review points for this box. First impression: The Hyaluronic Acid is HUGE! When I saw the Tonymoly bananas on Testerkorea in early December, I knew I HAD to get it! I really like bananas, I would say it's my favourite. Bananas are also Panda's favourite fruit, he would snap to attention any time someone opens a banana in the vicinity. When I saw it on RoseRoseShop, I was soooo tempted. But both added up to $20 with shipping. So I had to hold off until I either had enough orders fro Testerkorea to even out the shipping or find a cheaper deal. 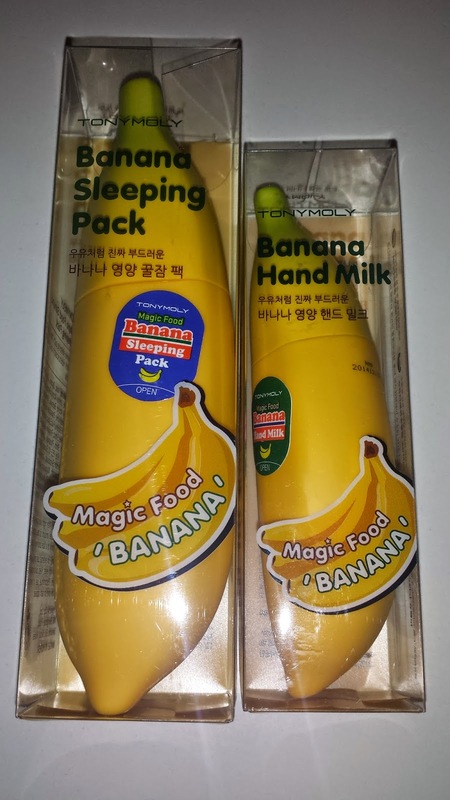 Later on in December, I saw people posting about buying the bananas from Beautynetkorea so I HAD to take a look. I was glad I did! They had the sleeping pack and hand milk in a bundled sale for $14.40 with free shipping. I decided to grab it as it was the cheapest I could find. I opted out the $2.50 tracking as I read from numerous buyers that their items arrived safely without a tracking number. The order shipped out a few days later and I received it in three weeks due to the holidays. Safe and sound!